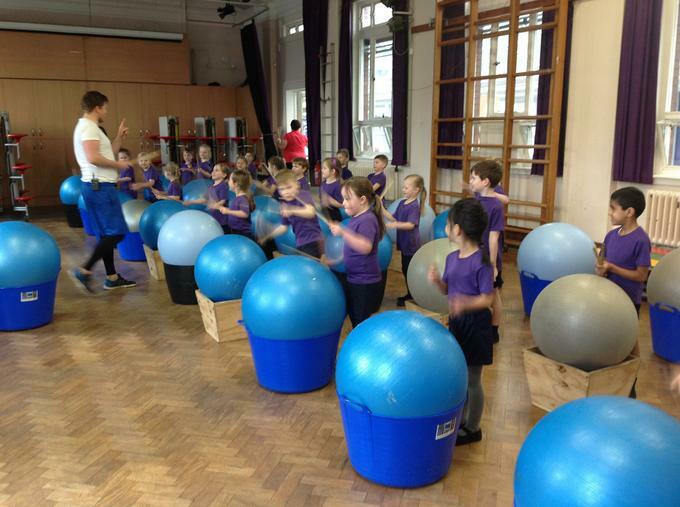 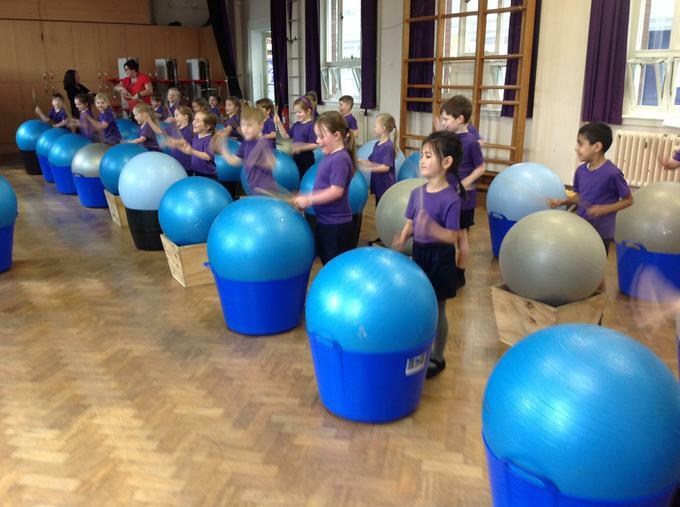 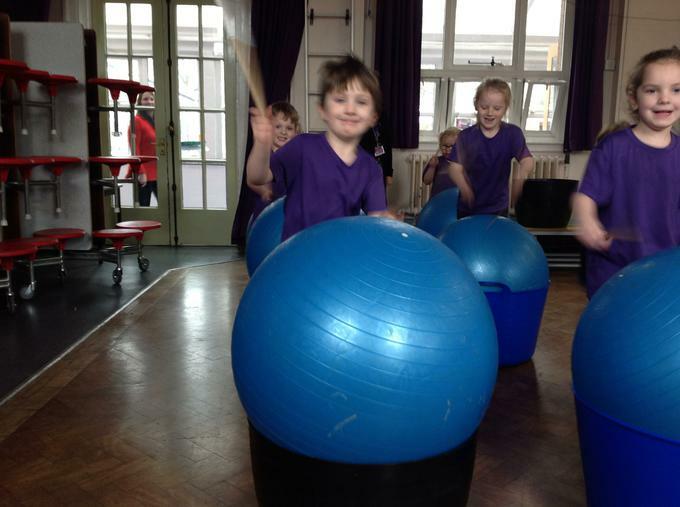 We had a fantastic time taking part in Drumz Aloud. 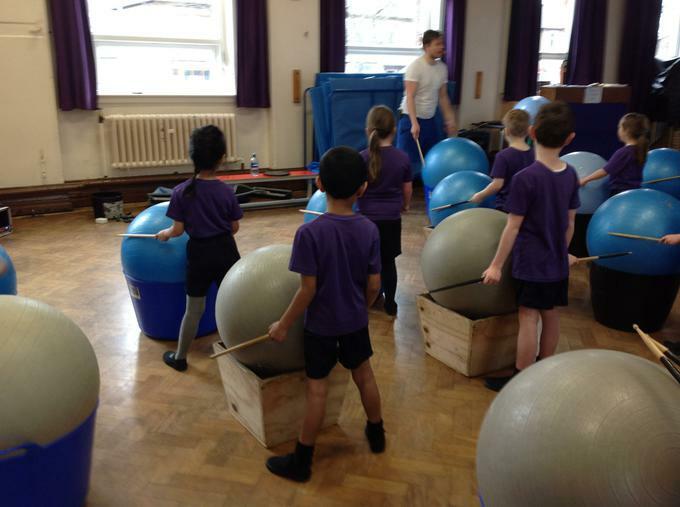 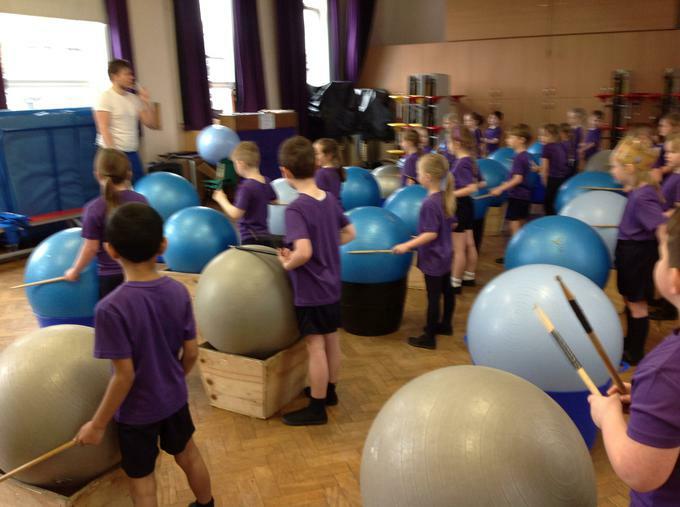 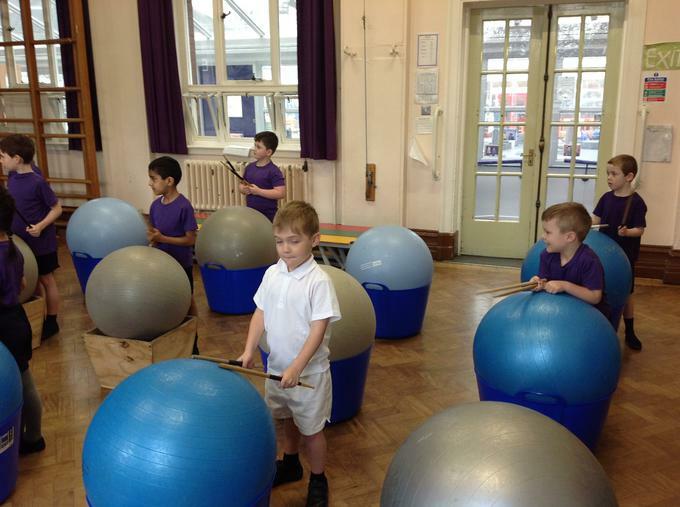 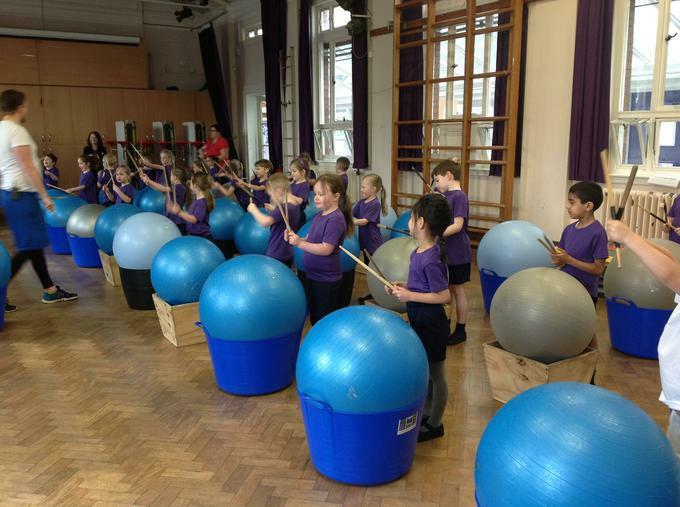 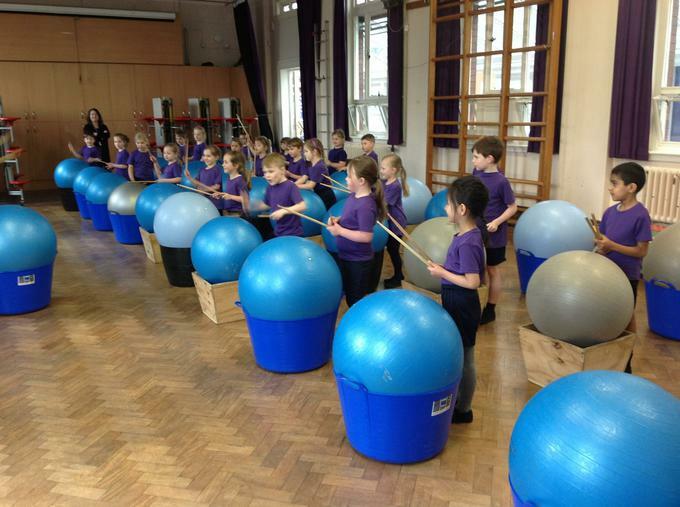 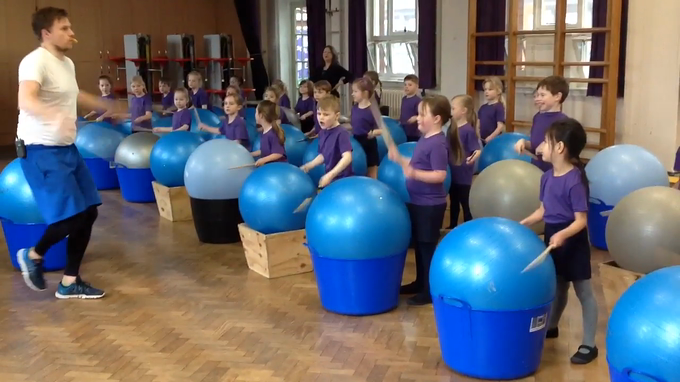 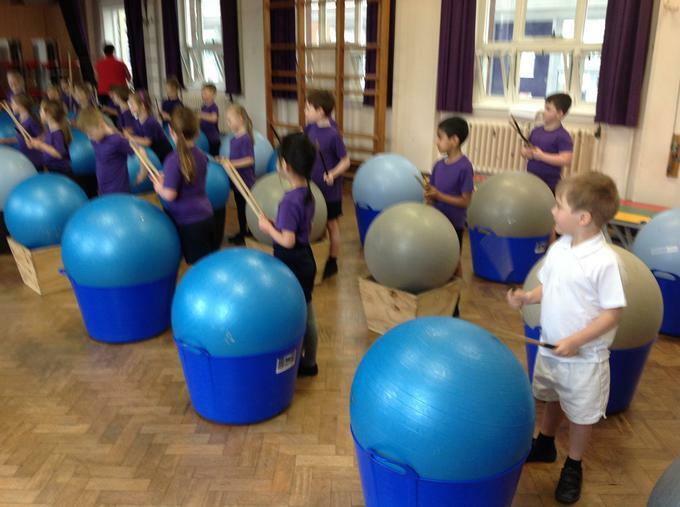 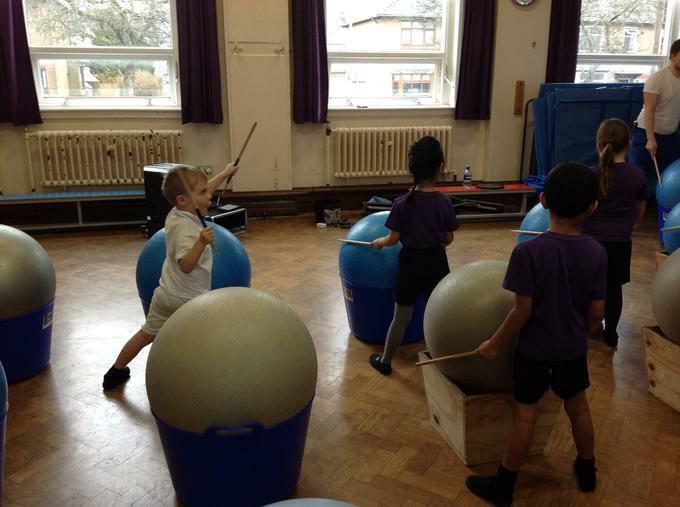 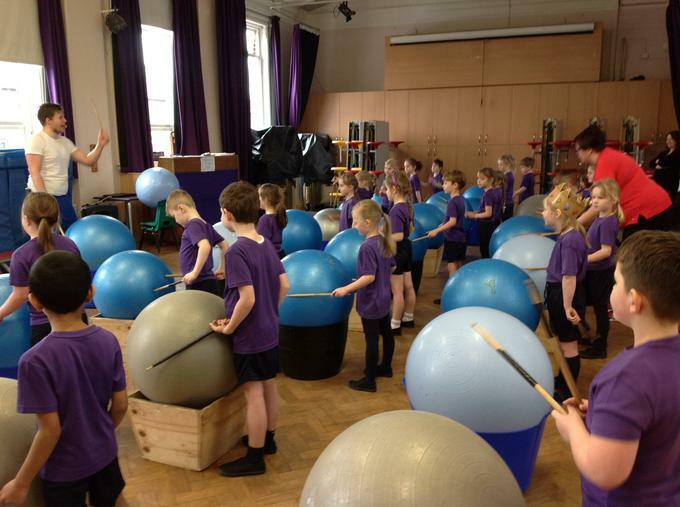 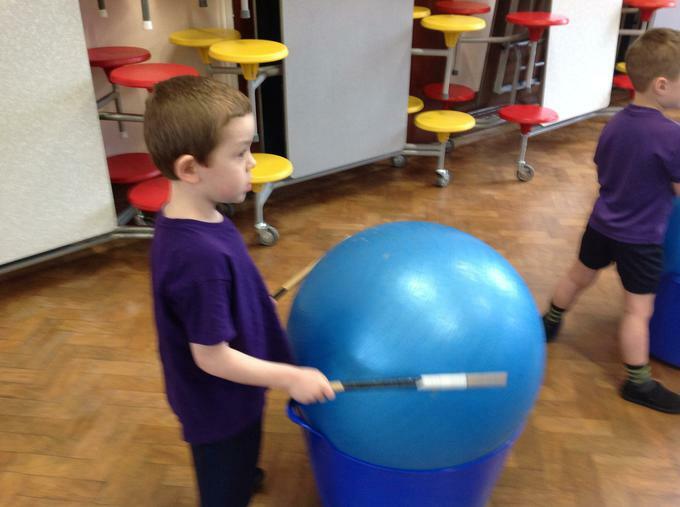 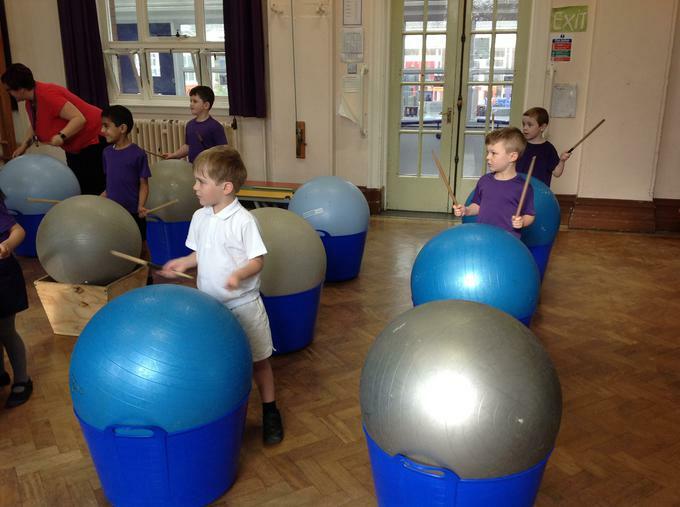 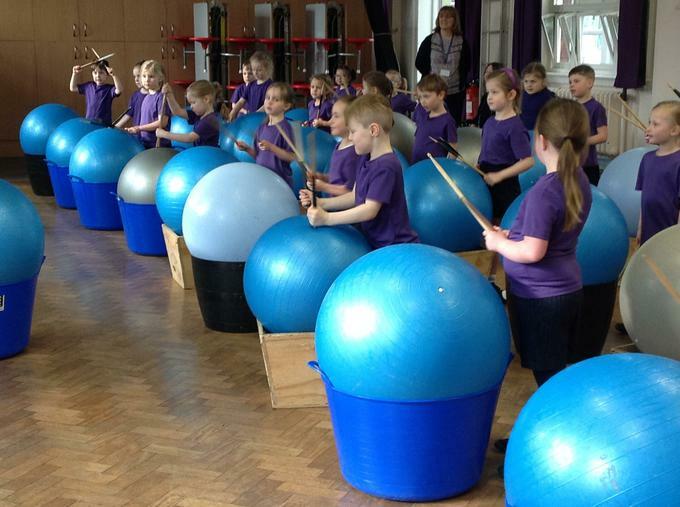 We had to use the drum sticks to keep in time with each other, the music and the counting. 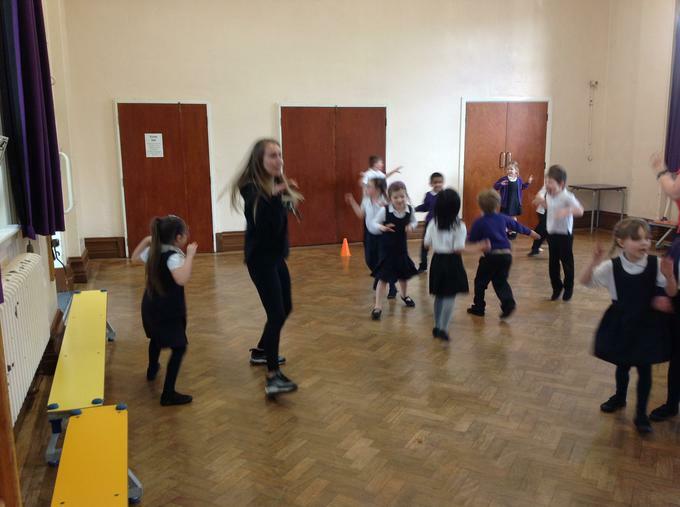 We really impressed Miss Rea with our skills. 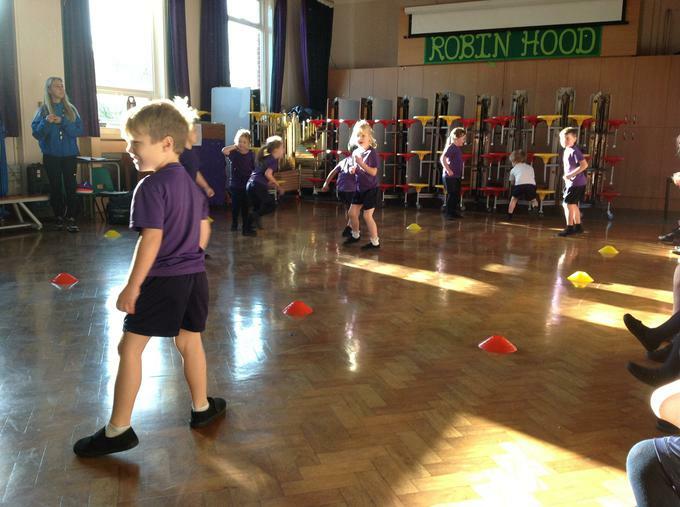 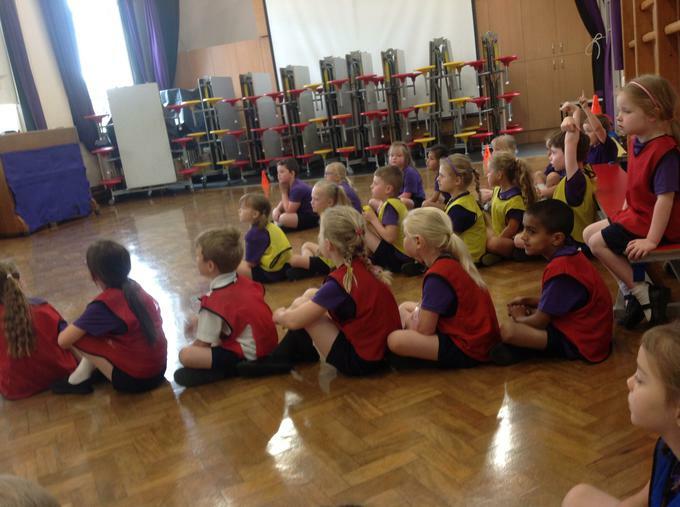 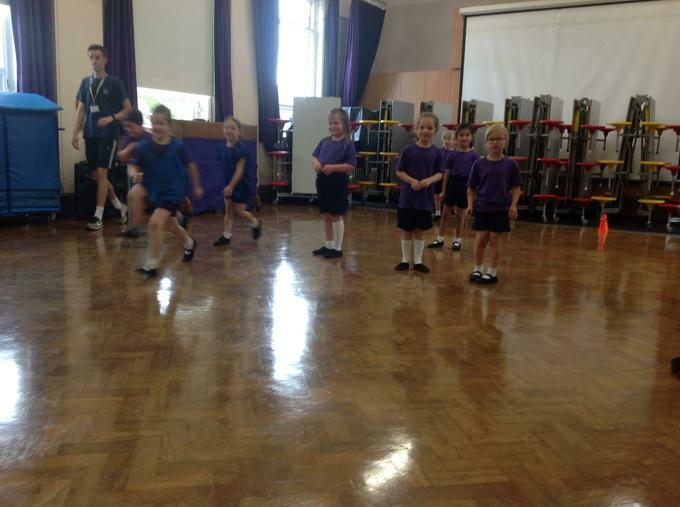 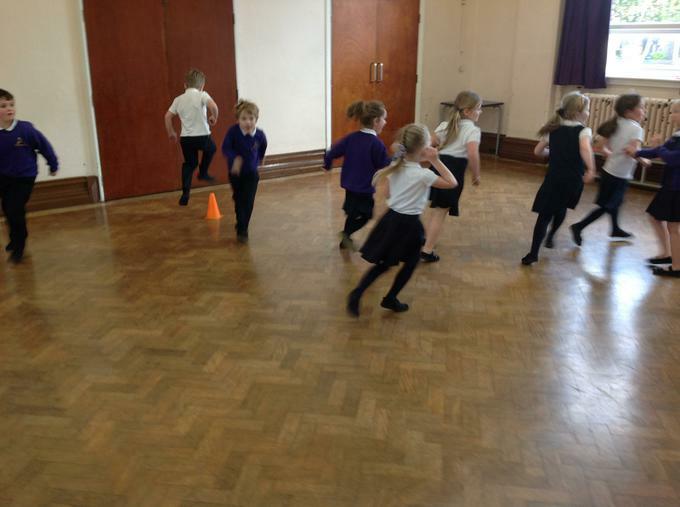 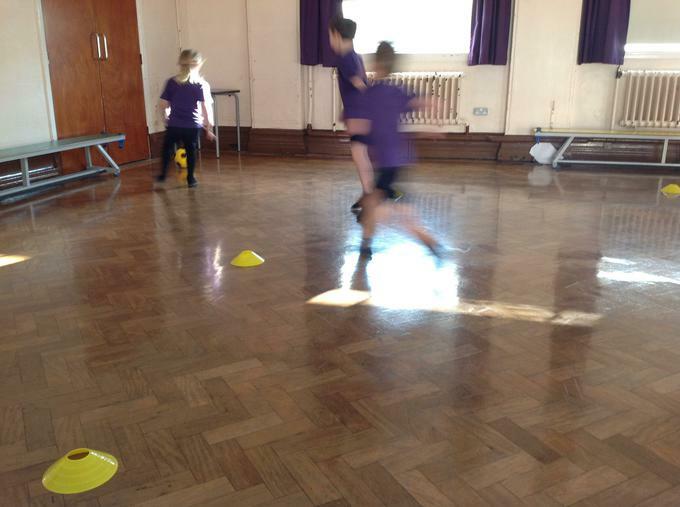 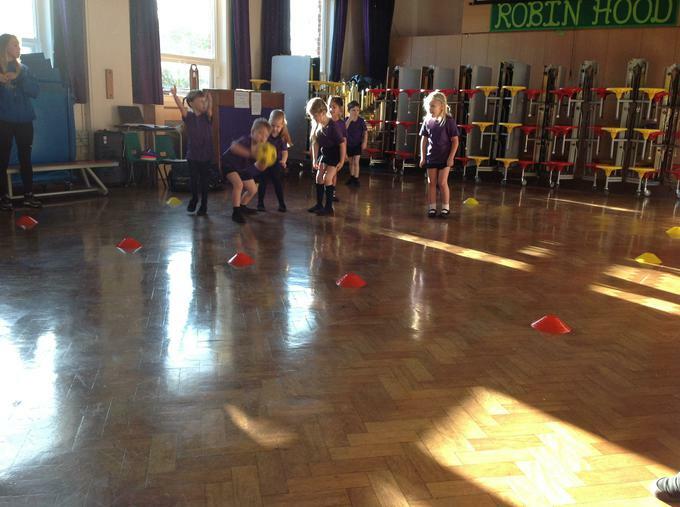 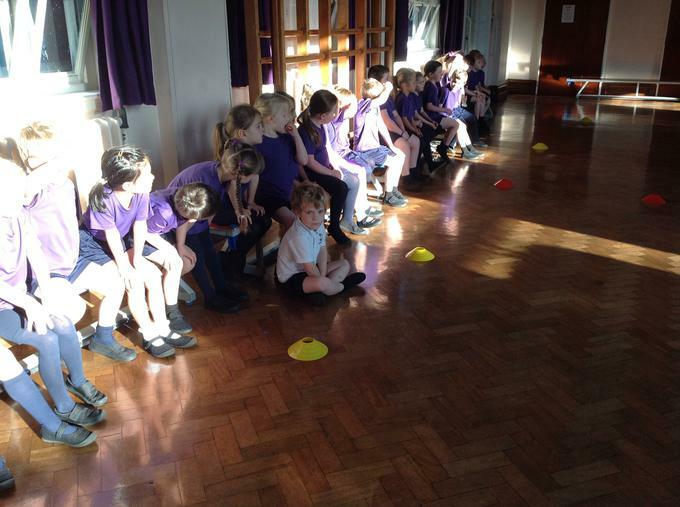 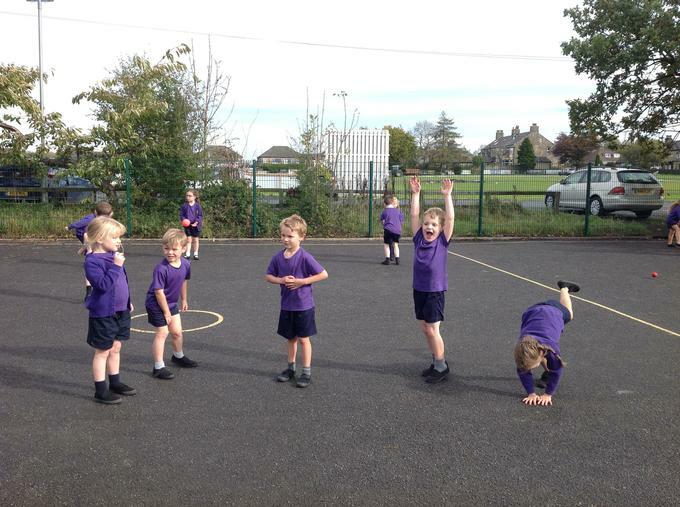 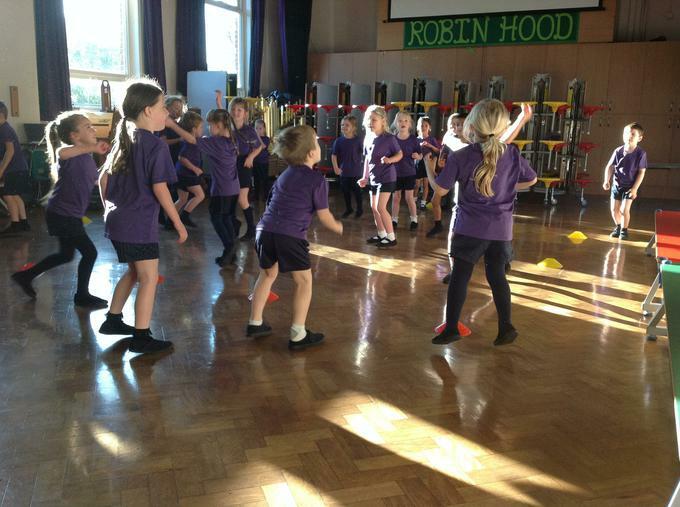 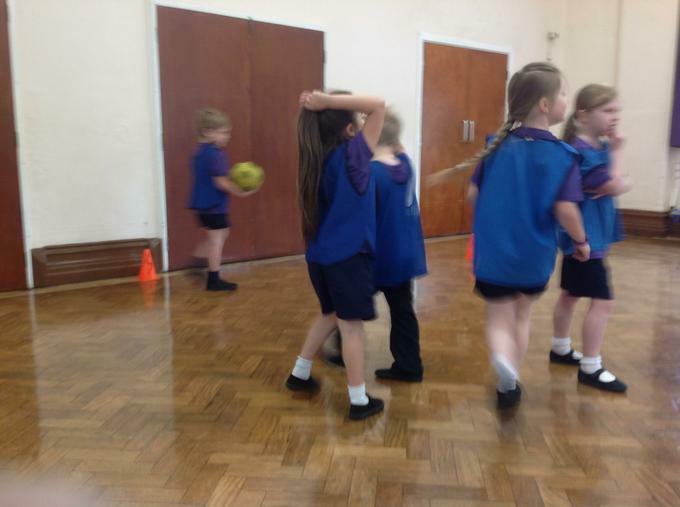 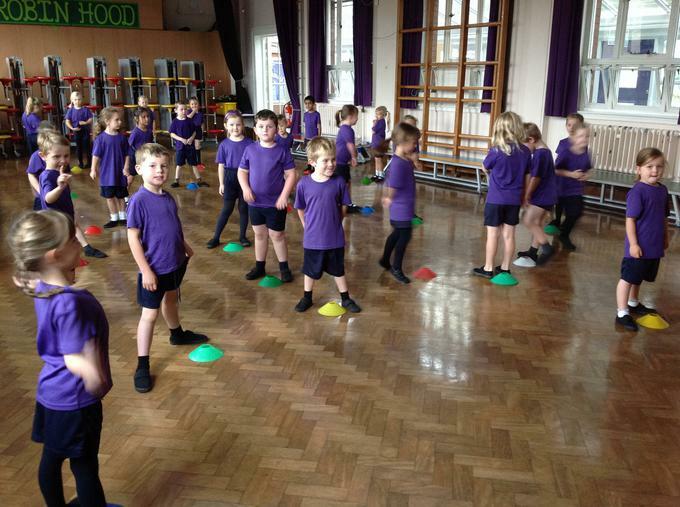 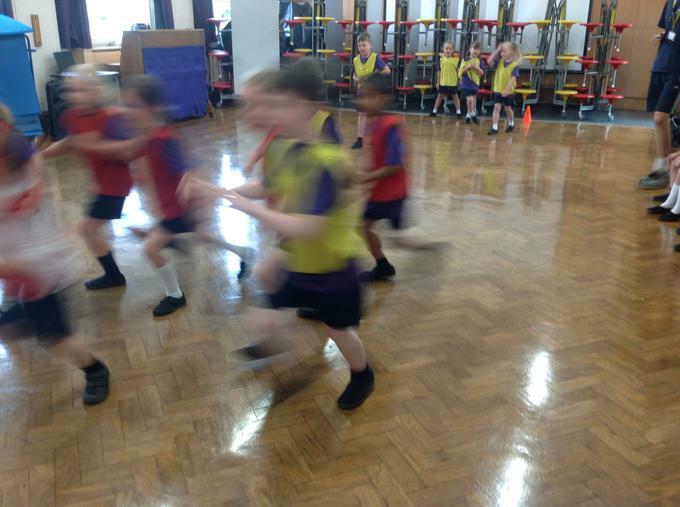 This half term in PE we have been developing our underarm throw. 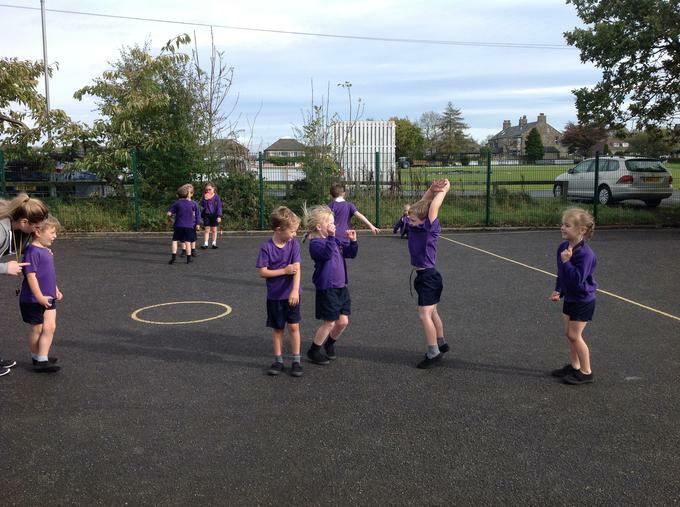 We have been practicing this throw in a range of games that will help us when we end the topic with a big game of piggy in the middle. 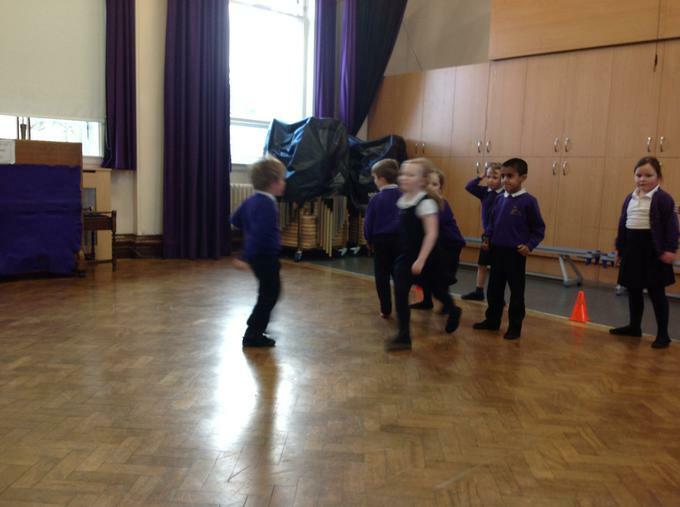 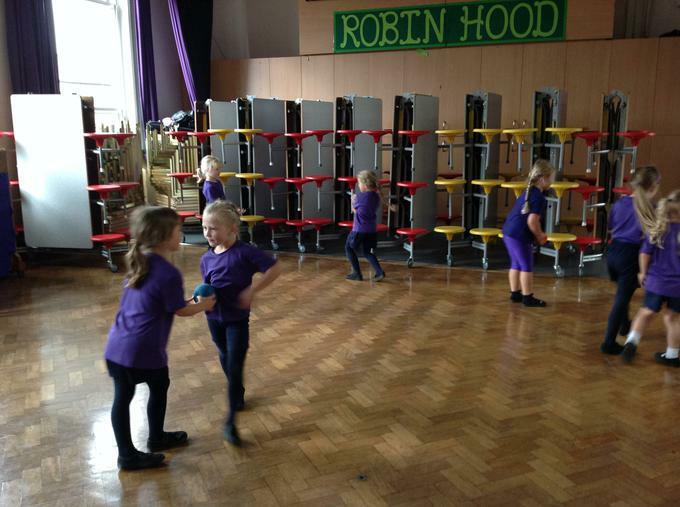 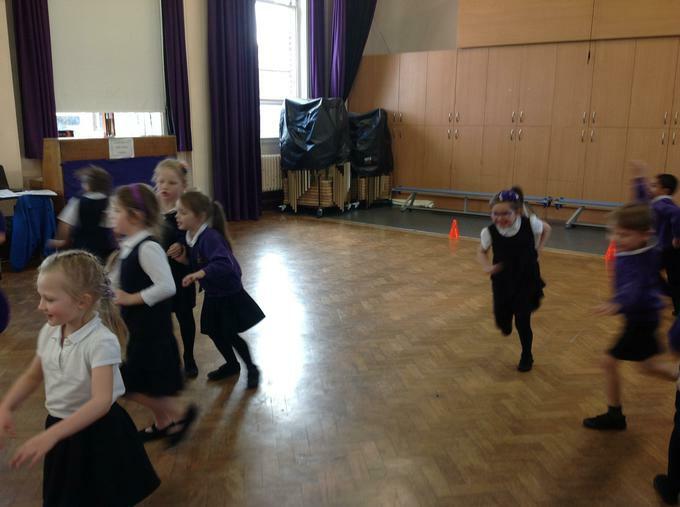 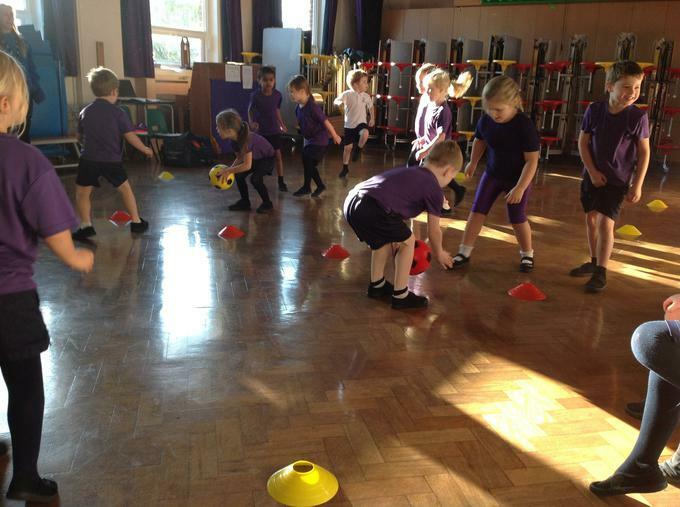 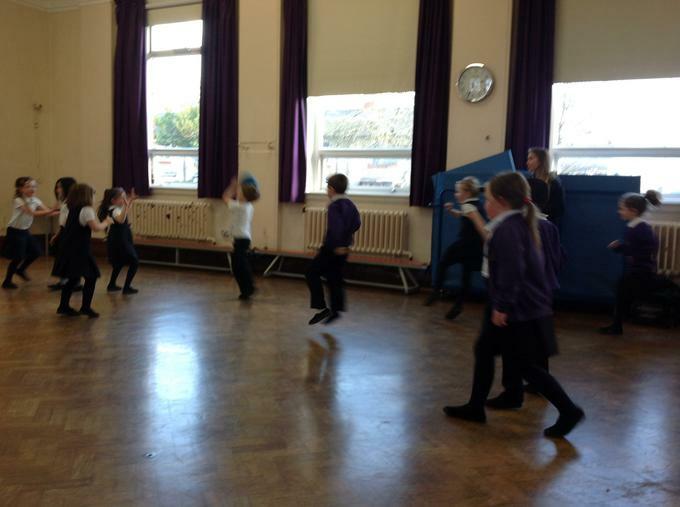 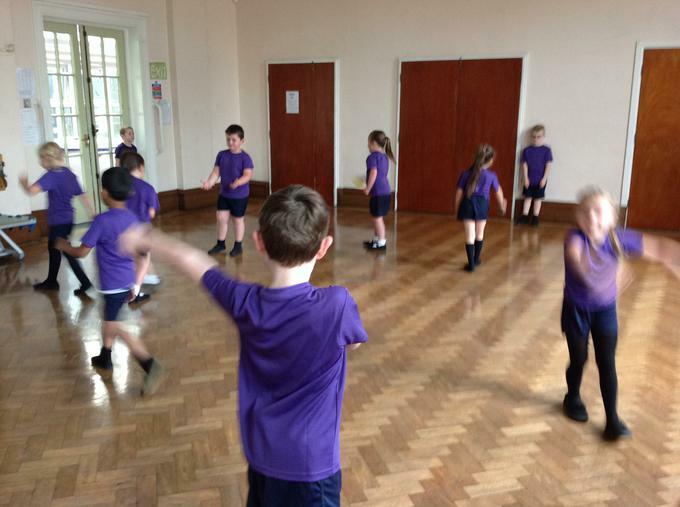 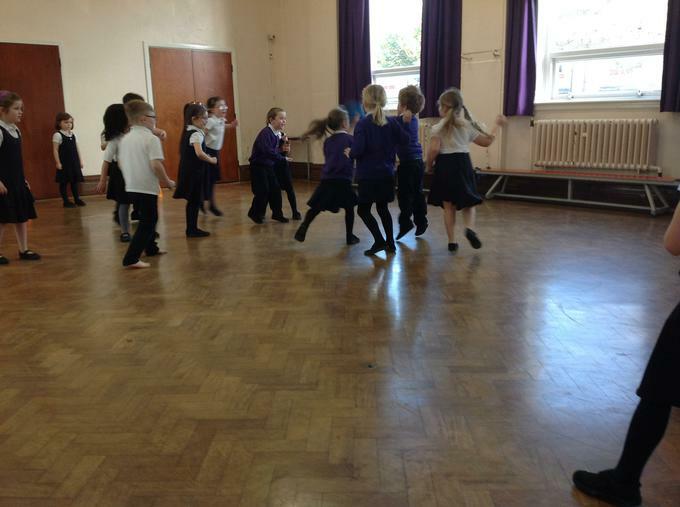 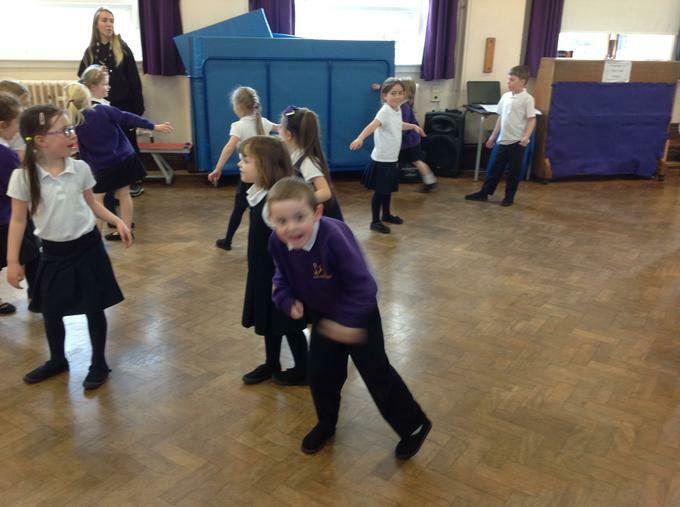 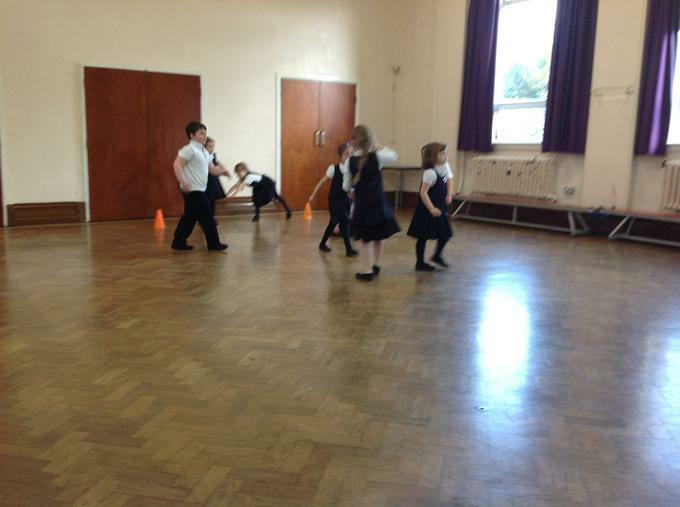 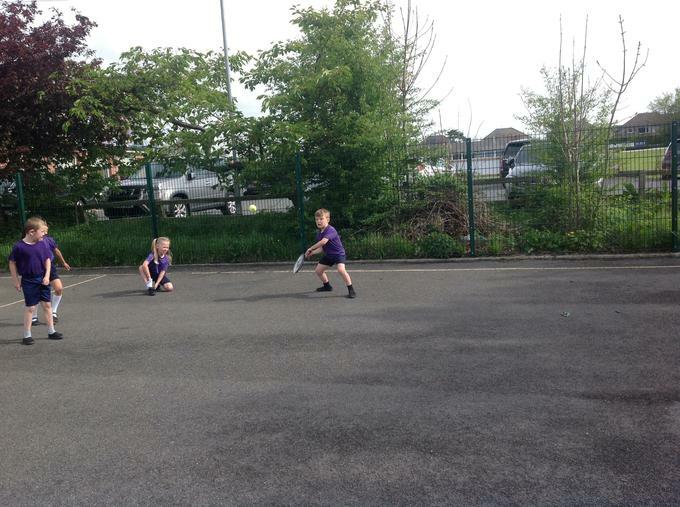 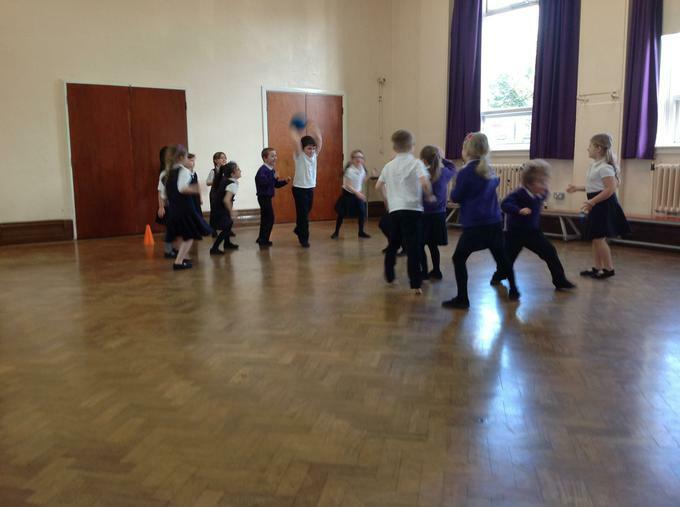 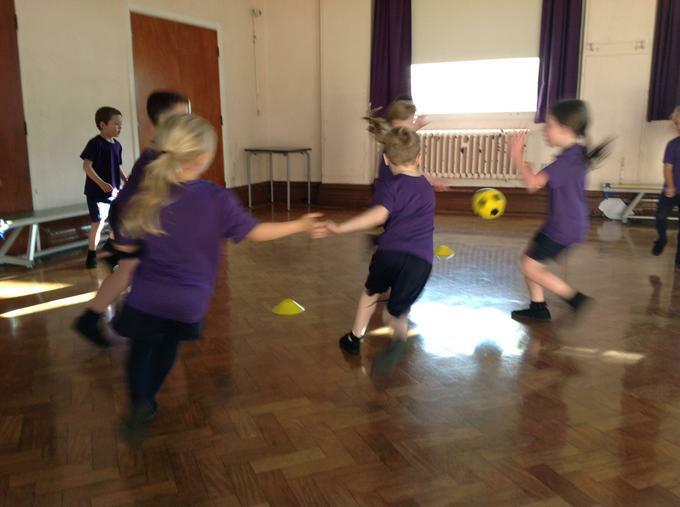 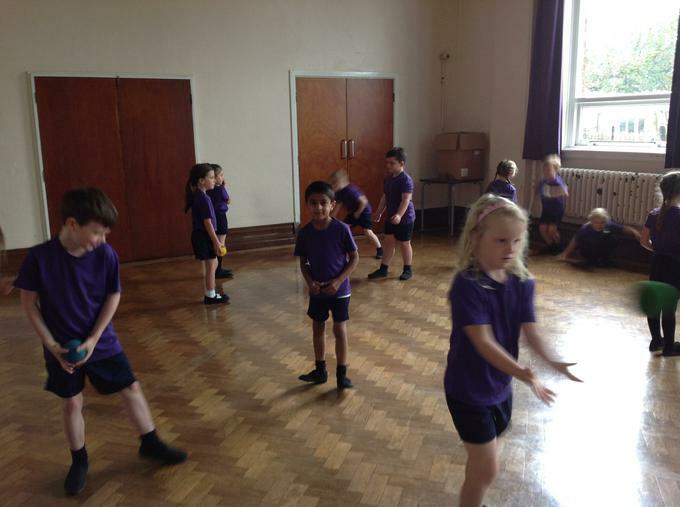 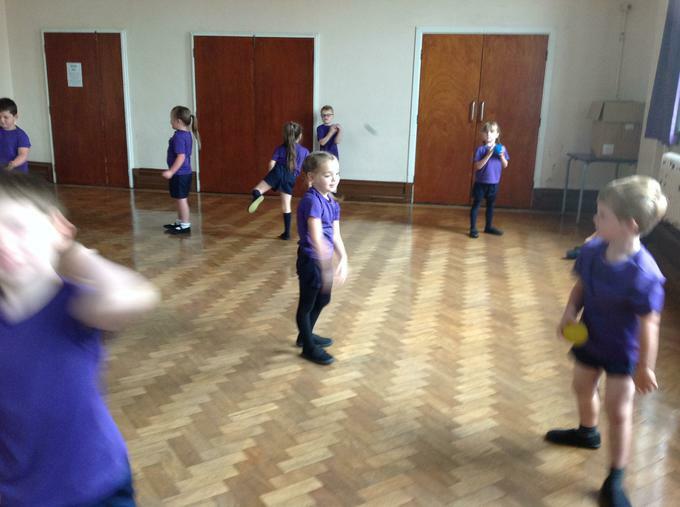 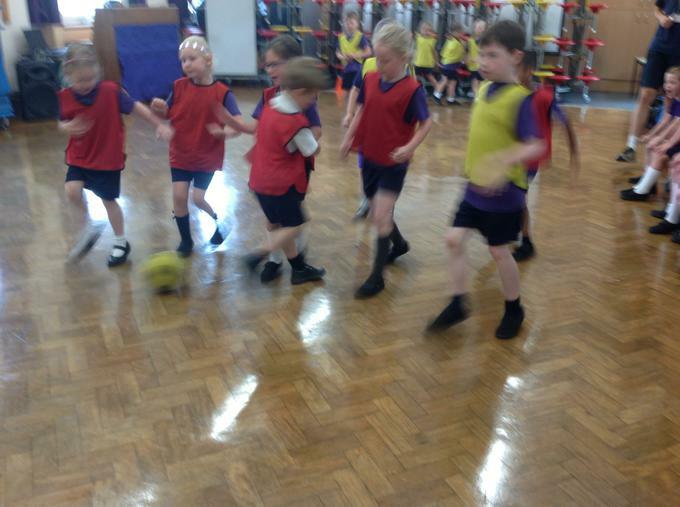 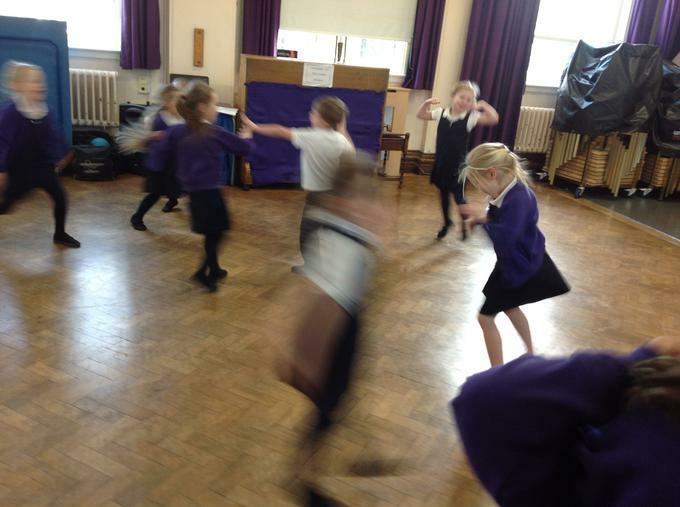 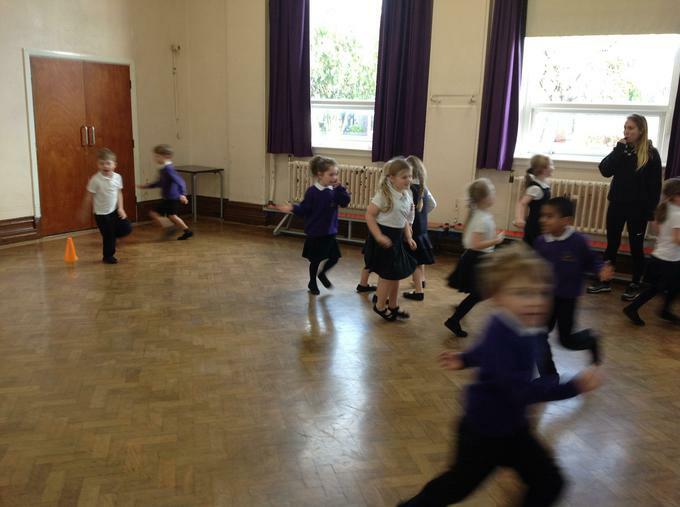 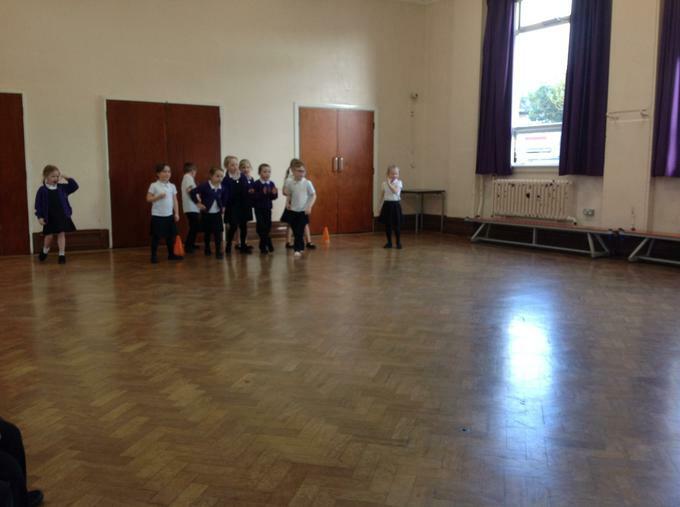 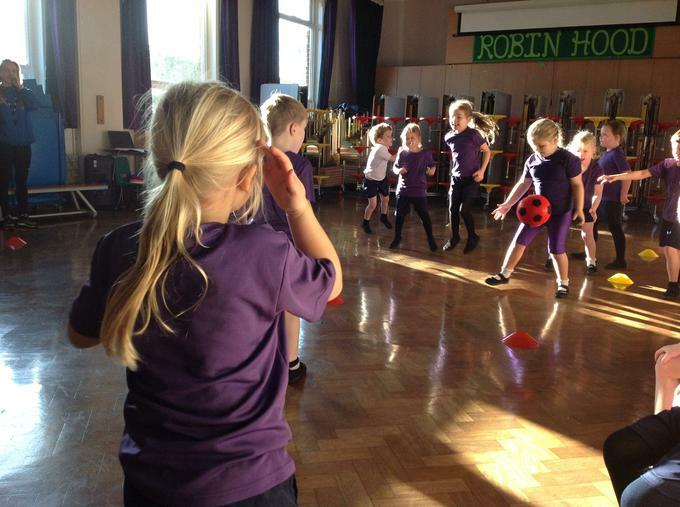 The children have been working really hard on improving their techniques and finding the best way to throw and catch the ball with their partner(s). 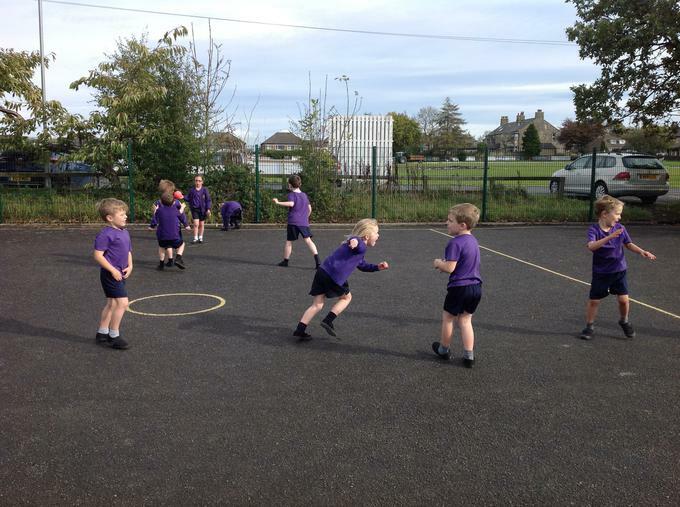 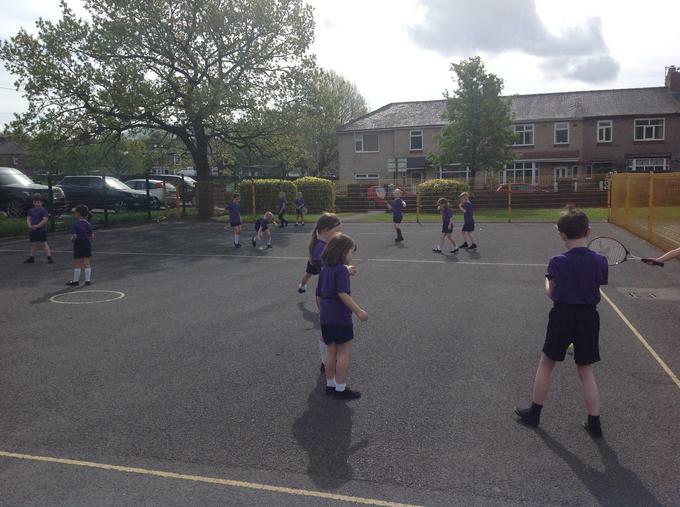 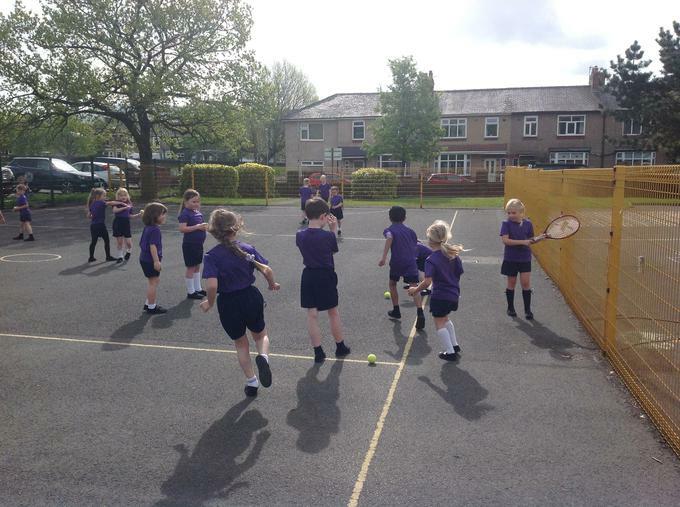 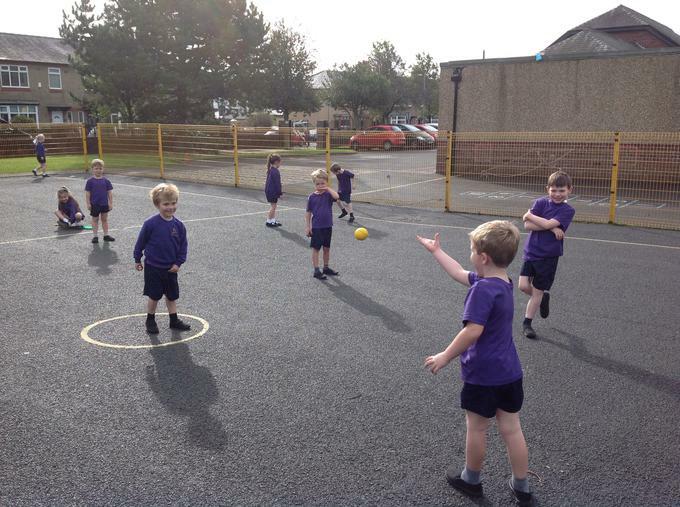 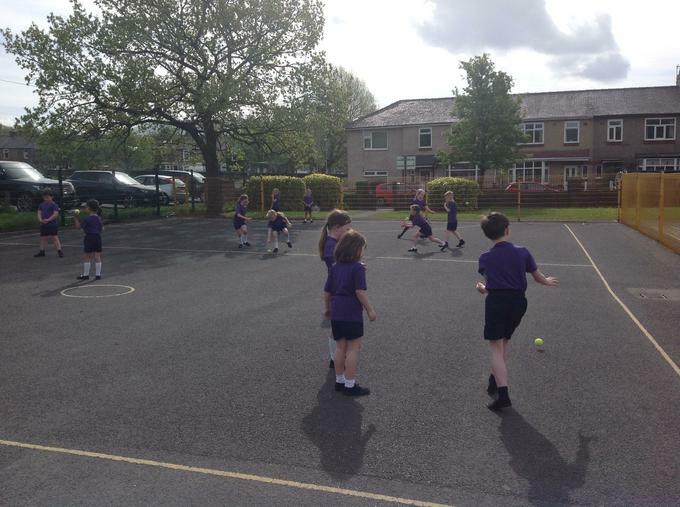 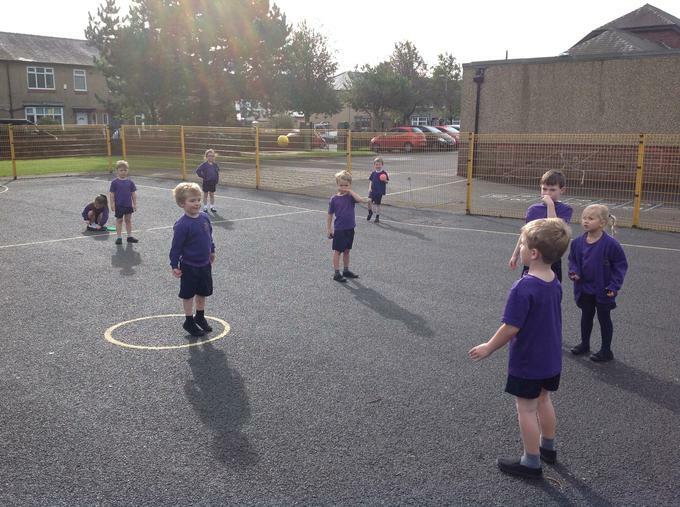 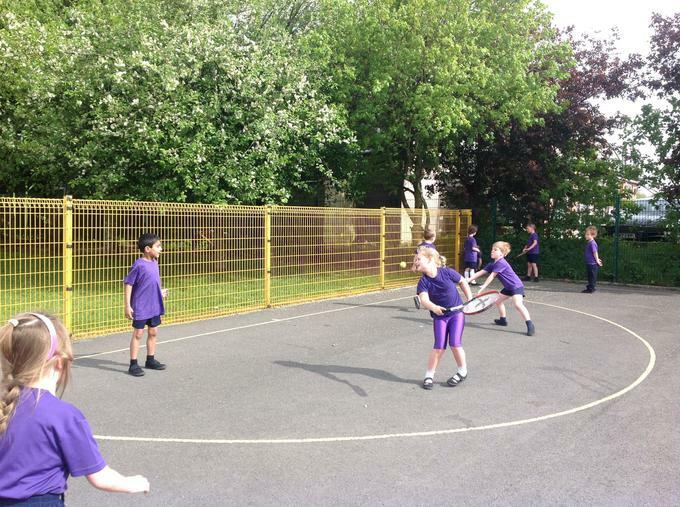 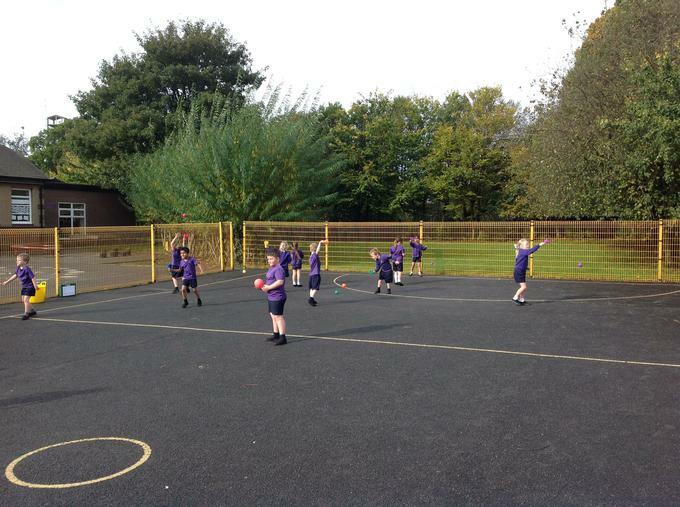 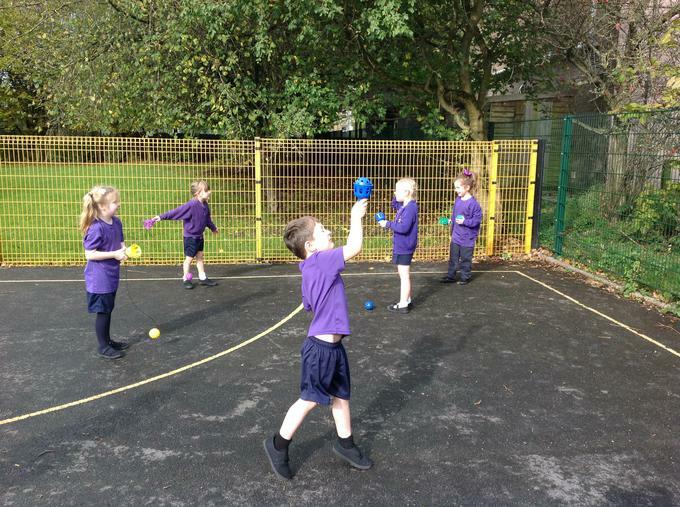 We have also spent time working on our hand eye coordination outside to help us improve our throwing and catching both independently and with others.